CAKE Amsterdam: 3D Red Dragon Birthday Cake! 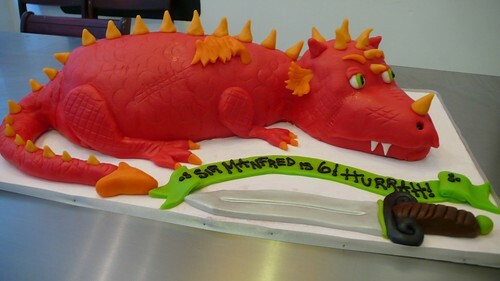 3D Red Dragon Birthday Cake! 3D dragon birthday cake, a photo by CAKE Amsterdam - Cakes by ZOBOT on Flickr. Super cute 3D Dragon Cake! "Sir Manfred is 6! HURRAH!" Flavor : Chocolate cake with Chocolate Ganache Filling. DEATH BY CHOCOLATE! OR by cute pet DRAGON!